Using Hydrogen in Human Society Hydrogen has so many potential uses for mankind that it is surprising that it hasn't yet gained the universality of use which it deserves. One possible reason appears to be that it is regarded as unsafe. In fact, it will be shown here that Hydrogen is one of the safest of all fuels, and has come into disrepute through a single dramatic incident in the past. This dramatic incident was when the German zeppelin "Hindenburg" caught fire during a 1937 docking at a naval air station in New Jersey, USA. The zeppelins contained large bags filled with hydrogen to obtain their lift, these airships were classed as "lighter-than-air" machines. The Hindenburg Disaster Here is an extract from Wikipedia's description of the incident . "The Hindenburg disaster occurred on May 6, 1937, in Manchester Township, New Jersey, United States. The German passenger airship 'LZ 129 Hindenburg' caught fire and was destroyed during its attempt to dock with its mooring mast at Naval Air Station Lakehurst. On board were 97 people (36 passengers and 61 crewmen); there were 36 fatalities (13 passengers and 22 crewmen, 1 worker on the ground). The disaster was the subject of spectacular newsreel coverage, photographs, and Herbert Morrison's recorded radio eyewitness reports from the landing field, which were broadcast the next day. A variety of hypotheses have been put forward for both the cause of ignition and the initial fuel for the ensuing fire. The event shattered public confidence in the giant, passenger-carrying rigid airship and marked the abrupt end of the airship era". Figure HY401-F1. The Hindenburg bursts into blames above Lakehurst, New Jersey. From . Putting the Hindenburg into perspective While the Hindenburg accident was undoubtedly tragic, its occurrence has had outcomes enormously greater than might be expected. Firstly, the scale of the accident was relatively minor compared to many aeronautical accidents, in some of which hundreds of people have died, sometimes everybody involved in the air accident. With the Hindenburg, almost 64% of the passengers and crew survived, only just over one-third died. The death toll total of 36 was less than that for some road or rail accidents. Nor was survival impossible -- many survivors jumped out of the zeppelin's windows and ran away as fast as they could . Moreover, the accident was not one at the beginning of a new method of air travel, but the very first in over 37 years of operation of the Zeppelin airships in which a passenger died. That is just one fatality a year in a large commercial operation. The first zeppelin flew on July 2, 1900. The Hindenburg's sister ship, the Graf Zeppelin, made a total of 590 flights in the years 1928 to 1938, carrying 13,000 passengers and covering 1.6 million kilometres. Nor was the Hindenburg accident due solely to its hydrogen content. A worse airship accident happened in 1933 when the US Navy airship "USS Akron" crashed off the coast of New Jersey in a severe storm, killing seventy-three men. The Akron got its lift, not from hydrogen, but from helium, regarded as a safe alternative . In some senses, the Hindenburg crash could be regarded as a freak accident, not one to condemn a whole industry out of hand. It occurred after unusual weather conditions (an electrical storm and strong winds), when the airship was already secured by line to the ground. 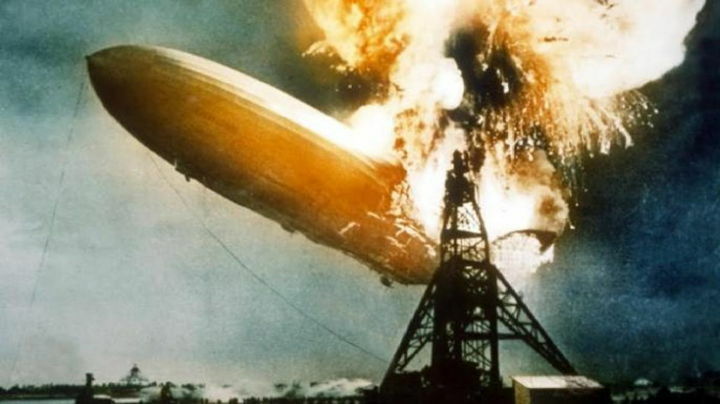 Many studies have been made over the years as to the actual cause of the accident, including sabotage (some regarded the Hindenburg as a symbol of Nazi aggression ). It is worth pointing out that while the Hindenburg's hydrogen burned (as might be expected, since hydrogen is an excellent fuel), there was no explosion involved. When considered against other comparable fuels, hydrogen is very, very safe. All about Hydrogen What is Hydrogen? Hydrogen is the lightest and most abundant element in the Universe, with chemical symbol H. In normal life it is a gas, in the form of H2, a hydrogen molecule, containing two atoms. This is the smallest molecule known, which has implications on sealing of pipes and leaks. Figure HY401-Fn. A hydrogen molecule, containing two hydrogen atoms. From . According to Wikipedia , hydrogen is a colourless, odourless, tasteless, non-toxic, nonmetallic, highly combustible diatomic gas. Since hydrogen readily forms covalent compounds with most nonmetallic elements, most of the hydrogen on Earth exists in molecular forms such as water or organic compounds. Hydrogen gas was first artificially produced in the early 1500s by the reaction of acids on metals, and was named in the late 1700s by Henry Cavendish. Free hydrogen in the atmosphere The amount of free hydrogen (as H2) in the atmosphere is very small, not because little is produced, but because it reacts readily with atmospheric oxygen to give water, H2O. Those who remember school science lessons will know that it is made by adding an acid to a metal, commonly zinc. The hydrogen bubbling off can be collected in a balloon or an inverted bell jar. What is not commonly recognized is that hydrogen is being produced in abundance all over the world by another acid-metal process, one we call Rusting. Of course the metal is Iron (Fe), and the acid is usually carbonic acid, which is just CO2 dissolved in water. While rusted metal is familiar in most parts of the world, it doesn't happen in very dry climates, the water vapour in wetter climates is the source of the hydrogen produced. Figure HY401-F2. 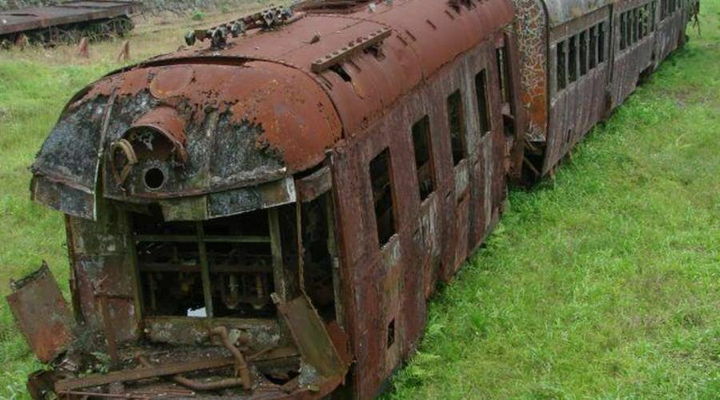 Rusting puts hydrogen into the atmosphere. From . The simplified chemical reaction is 4Fe + 6H2O = 2Fe2O3 + 6H2, though in practice rust is a mixture of iron oxides and hydroxides. Using Hydrogen as fuel in vehicles The majority of cars on the road today still use Petrol as their fuel (called Gasoline in the USA). Some newer vehicles have Hydrogen as their fuel. Hydrogen is vastly safer than Petrol when used as a motor fuel. There are several reasons why this is so. 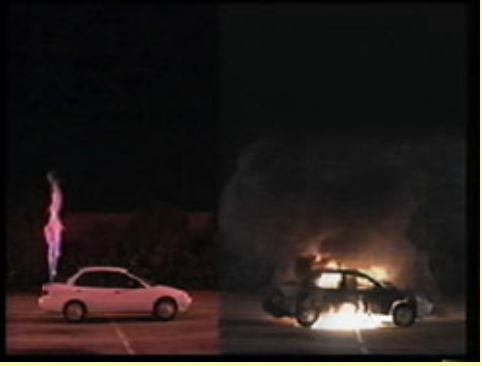 The petrol in car fuel tanks can easily become explosive. Everyone has seen movies involving car chases, where a car goes over the edge and bursts into flames, this is a common danger. Although hydrogen is an excellent fuel, it will not even burn, let alone explode, unless it is mixed with air or other oxygen source. Even when a hydrogen tank leaks, the leaking fuel rapidly dissipates in air, and even when lit, it only forms a vertical plume. This has been shown with comparative tests of petrol and hydrogen leaks in cars . Figure HY401-F2. 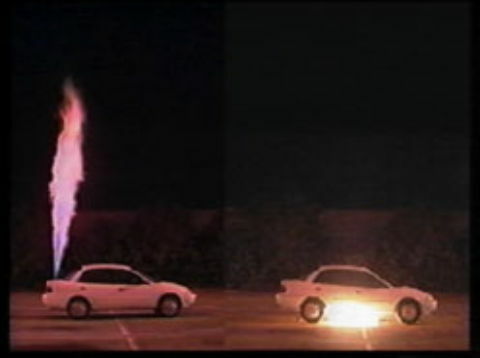 Hydrogen and gasoline car fires after 1 second and 1 minute. From . From : "In 2001 an unusual and revealing experiment took place. 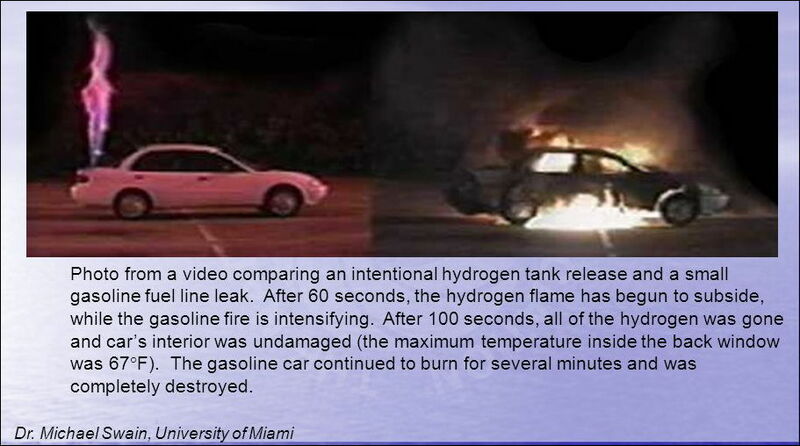 Dr. Michael Swain with the University of Miami at Coral Gables attempted to simulate two car fires, one created by a 1/16th inch puncture in a gasoline fuel line, the other by a leaking hydrogen connector. He video taped the experiment to document what would happen if the leaks ignited. As the photos clearly demonstrate, consumer fears about hydrogen as a transportation fuel would seem to be pretty much unfounded. While the gasoline-fed fire eventually consumed the second test vehicle, leaving it a smoldering heap of charred steel and melted glass, the hydrogen fire was over in less than two minutes and left the hydrogen-tank equipped test car virtually undamaged. In fact, the heat inside the car never got above 67 degrees (F). Dr. Swain points out that while the gasoline fire started as the result of a simple, small hole in the fuel line, for the hydrogen fire to occur, it would have taken the catastrophic failure of four separate safety systems, all at the same time, a highly unlikely occurrence". The following panel gives a good feel for the comparative safety of hydrogen and petrol in vehicles. Demonstrations have shown that a fuel fire in a hydrogen-powered vehicle can burn out completely with little damage to the vehicle, in stark contrast to the expected result in a gasoline-fueled vehicle. Figure HY401-F4. Hydrogen much safer than petrol as car fuel. From . Hydrogen can also be used in electric cars, with hydrogen reacting with air in a "Fuel Cell", a type of electric battery feeding power directly to car wheels. This is the way of the future, giving much better efficiency than an internal-combustion engine. What about the safety of the hydrogen tank in a car? These tanks are usually made of carbon-fibre. Trials showed that such a tank was only dented when bullets were fired at it . Even if an accident breached the hydrogen tank, the contents would be likely to plume off without incident, as hydrogen gas is so light. Safety of Hydrogen in airships The Hindenburg event was an accident, but the most convincing demonstration of the safety of hydrogen-filled airships can be had from an extensive study of deliberate attempts to destroy such ships. These attempts were made during World War 1, when the Germans sent a number of Zeppelins over to bomb Britain. The story is told in a 47-minute video "Attack Of The Zeppelins" made by Windfall Films . Do download and watch this video to understand its relevance. Figure HY401-F5. Zeppelin bombing raid on London. From . The main thing is, during the World War 1 Zeppelin bombing raids of Britain, the British had fairly small aircraft equipped with machine guns which were perfectly capable of approaching a Zeppelin and firing bullets at it. But these bullets had little effect -- most of them just passed straight through, leaving small holes which leaked a little, but had little effect on operation of the airship. The Zeppelins did not explode, nor did they readily catch fire. The makers of the video did do some tests of their own to see what was going on. In the course of these, they fitted an open electric element (as in a 1-bar electric fire) inside a transparent balloon which they filled with hydrogen. When the element was switched on, achieving a temperature of 500 deg C, nothing happened inside the balloon -- the hydrogen could not burn without being mixed with an oxygen source. Figure HY401-F6. 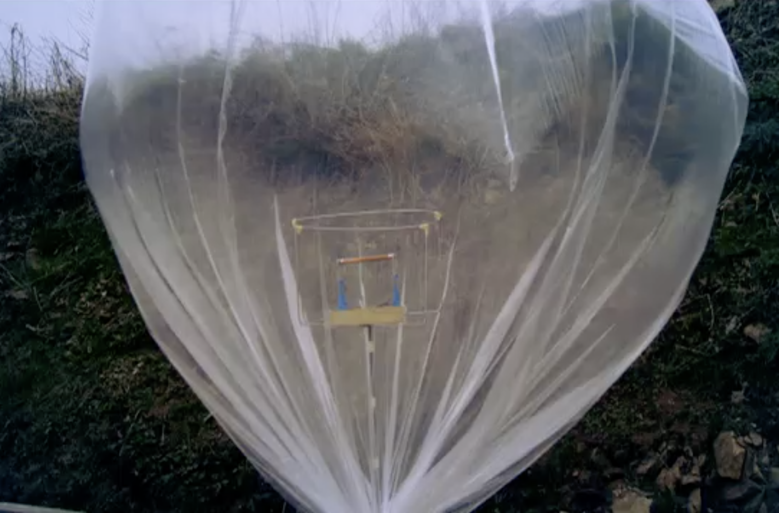 Lighting a 500 C electric element in a hydrogen balloon. From . During the actual World War 1 battles, pilots of the light British aircraft tried using incendiary bullets (intended to set targets alight) against the Zeppelins, without much effect. Figure HY401-F7. Firing incendiary bullets. From . They then tried using explosive bullets, which also had little effect, and finally a mix of explosive and incendiary bullets, which also was fairly ineffective. Figure HY401-F8. Firing explosive+incendiary bullets. From . 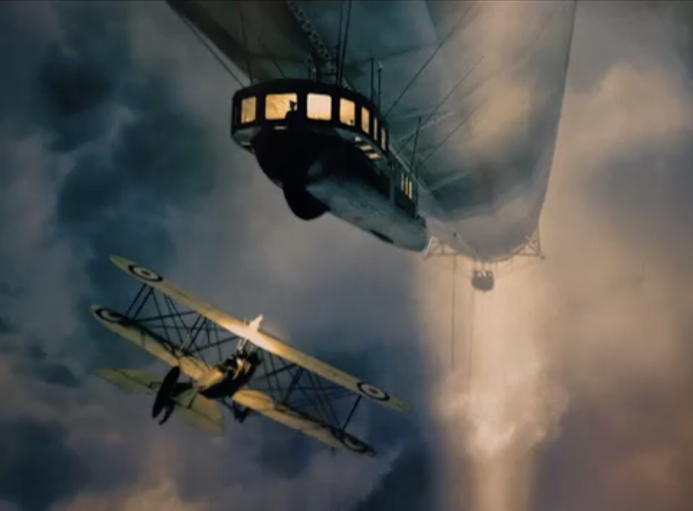 The only technique which worked was for the pilot to concentrate a heavy stream of bullets on a small area of the airship. This would eventually give rise to a fire at the spot where a good stream of hydrogen was pouring out of the airship, which would eventually fall in flames. Other factors in Hydrogen-airship safety Other factors to be considered with the safety of hydrogen-filled airships include those of Fuel and Ballast. Safety considerations vary with the techniques used, but are well established from the use of the techniques and materials elsewhere. Fuel. Airships such as the Zeppelins used fuel in the engines which ran the propellors and produced electricity to service passenger and crew spaces. The weight of this fuel could be quite large, influencing the lift factors (buoyancy) of an airship. 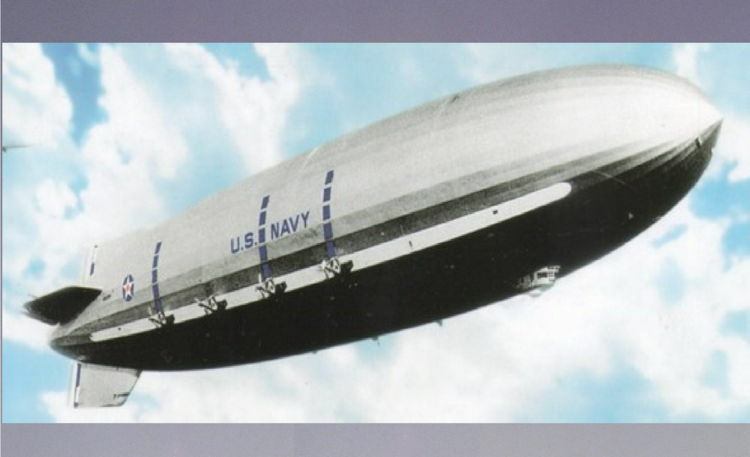 As an example, the rigid airship LZ 126, flying from Germany to the USA, consumed about 23 tonnes of gasoline and 1.3 tonnes of oil during its journey . During the landing, the airship had to release approximately 24,000 cubic meters of hydrogen (about a quarter of its initial store) to balance the ship before landing it. After the landing, the jettisoned hydrogen was replaced with new hydrogen. Ballast. Ballast is some inert material used to adjust the buoyancy of a ship or airship. With ocean-going ships, solid ballast may be added to an empty ship setting off to take on new cargo, to keep it more stable. The ballast is discarded when loading the wanted cargo. With an airship, the ability to adjust its buoyancy to make it rise or fall is an essential requirement. Releasing its lifting hydrogen into the atmosphere to make an airship descend, as with the LZ 126 mentioned above, is obviously wasteful. To cope with ballasting needs, some airships used a gas mixture as fuel -- in contrast to liquid gasoline, this did not have a large effect on the lifting balance when consumed. 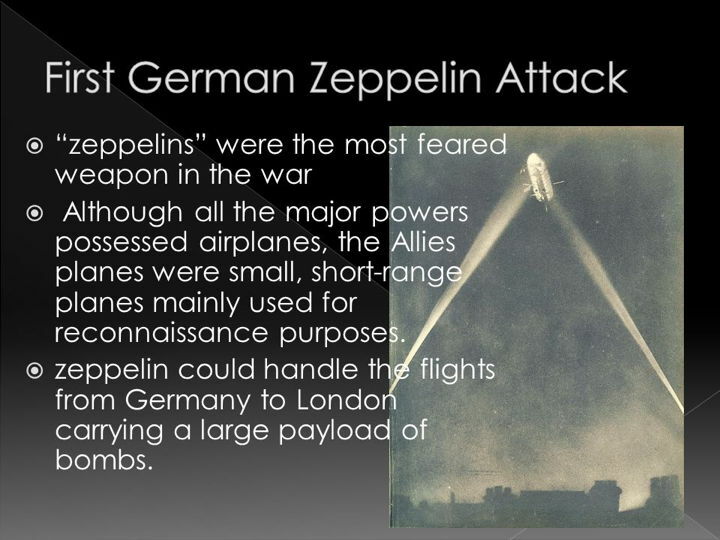 Some zeppelins used a gas mixture of propylene, methane, butane, acetylene, butylene and hydrogen . Figure HY401-Fn. On the US Navy airship Macon, the exhaust water recovery condensers appear as dark vertical strips above each engine. From . Other techniques used water as ballast. The water might be loaded into tanks and released to lighten the airship, collected from a sea or lake, or even harvested from rainfall in flight, or from condensing the water produced by burning fuel . In future airships, it is likely that effective buoyancy control of large vessels in flight may be obtained by altering some of their hydrogen stores between liquid and gas states -- when liquefied, hydrogen no longer provides lift. While quite a low temperature is needed to liquefy hydrogen, experience in handling H2 as a liquid has been gained from rocket technology -- many rockets use a mixture of liquid hydrogen and liquid oxygen. Hydrogen in pipelines and domestic supply lines With the widespread use of hydrogen in all aspects of society likely to increase in importance in the future, it must be expected that there will a corresponding large increase in hydrogen pipelines and hydrogen supply grids. Leakage of hydrogen from pipelines and grid nodes must be a consideration in its safe use. Because hydrogen molecules are very small, equipment seals must be good to prevent leakage. Leaks as such need not be especially unsafe, because under most conditions the hydrogen will dissipate rapidly into the air. Therefore, as far as possible, equipment should be exposed to open air. Where equipment is in a confined space, there is the possibility that a small leak could build into a combustible (not explosive) mix. However, a range of Hydrogen Detectors is commercially available , and use of these should provide alerts to leaks. A recently-developed device  can meet the rigorous demands of the automotive industry, able to detect 0.1 percent hydrogen in the air in less than a second. The widespread use of hydrogen pipelines and grids is discussed in The HydroSolar package: A Total Energy System for Today . 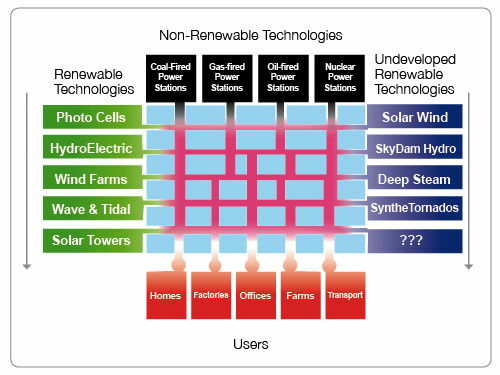 This new approach to energy generation and handling is summarized in the following graphic. Figure HY401-F9. The HydroWeb concept. From . The basis of the HydroWeb approach is, that no matter how energy is initially generated or harvested, this energy is moved from provider to user as hydrogen gas. That is, every form of energy is converted at its origin into hydrogen. The hydrogen is moved to the user, where, if necessary, it is converted back into another form of energy, such as electricity. This might seem wasteful, if the energy was originally generated as electricity, and the final user also required it in the form of electricity. But when examined closely, the HydroWeb approach can be seen to be far more efficient and flexible. The thing is, any method of sending electricity over longer distances has two major disadvantages. The first is that significant losses of energy occur in power lines. The second is that lots of equipment is required to control or amend the voltage and form of the electricity (and this equipment also involves considerable energy losses). In contrast, hydrogen is a simple material, it can be moved a long way, even round the world, at arbitrary pressures without significant losses. It can also find its own way through complex networks, and is not directional, unlike the conventional power station-power line-transformer-user setup. The fact that the HydroWeb carries only hydrogen means that there is no need for purification, monitoring, transforming, or conversion. Whatever is generated can be fed into the HydroWeb, with exactly the same material being drawn off at all usage points. Only the local pressure will vary at different places. Long-distance hydrogen pipelines Gas pipelines are a conventional part of everyday energy supply, and may be quite long, even several thousand kilometres in length. So their engineering requirements are well established. International pipelines are quite common. There is a very cheap and flexible possibility for long-distance and international hydrogen transmission which is beyond that possible with petroleum gases. This is mentioned in Blue-skies thinking re the HydroSolar Package . The concept uses light flexible tubing ("sleeves") to hold the hydrogen. Because hydrogen is much lighter than air, this tubing will rise naturally into the air. Constrained to a set height by tie-lines, these HydroSleeves could carry hydrogen internationally and over land and sea, moving under the natural pressures arising through withdrawal or input at convenient way-stations.
. Hydrogen safety. https://en.wikipedia.org/wiki/Hydrogen_safety .
. Hydrogen Car Fire Surprise. http://www.evworld.com/article.cfm?storyid=482 .
. Hydrogen Workshop for Fleet Operators. https://slideplayer.com/slide/5683486/ .
. Toyota fires bullets into hydrogen fuel tanks, shoots down EV supporters. https://www.autoblog.com/2014/01/16/toyota-fires-bullets-hydrogen-fuel-tanks-shoots-ev-supporter/ .
. Christopher Klein. The Hindenburg Disaster: 9 Surprising Facts. https://nph.onlinelibrary.wiley.com/doi/full/10.1111/nph.12874 .
. Hindenburg disaster. https://en.wikipedia.org/wiki/Hindenburg_disaster .
. Examples of covalent molecules. https://classnotes.org.in/class-10/carbon-and-its-compounds/examples-covalent-molecules/ .
. Much ado about rusting. https://www.marketplace.org/2015/03/17/business/big-book/much-ado-about-rusting .
. Buoyancy compensator (aviation). https://en.wikipedia.org/wiki/Buoyancy_compensator_(aviation) .
. Attack Of The Zeppelins. Video, 47 min. 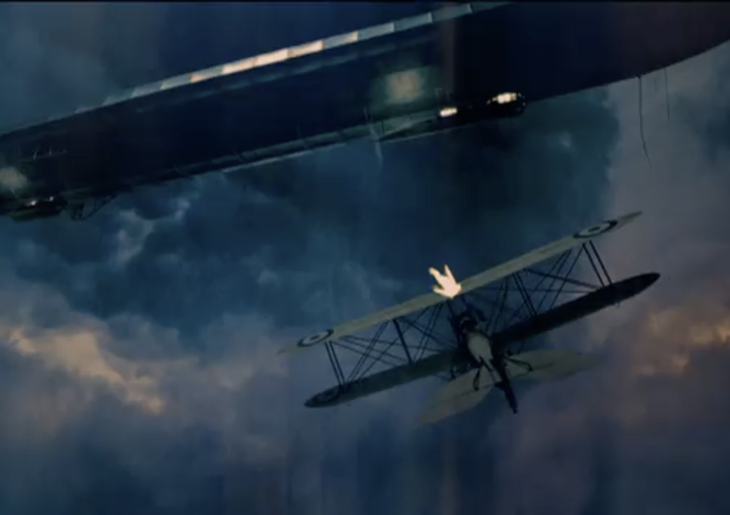 Windfall Films, 2013. http://www.sbs.com.au/ondemand/video/329086531957/attack-of-the-zeppelins .
. World War 1 - 1915. https://slideplayer.com/slide/9198925/ .
. David Noel. HY400: The HydroSolar package: A Total Energy System for Today. http://www.aoi.com.au/bcw/HydroSolar.htm .
. David Noel. HY402: Blue-skies thinking re the HydroSolar Package. http://www.aoi.com.au/bcw/BlueSkiesHydroSolar.htm .
. Hydrogen Detection. https://www.airmet.com.au/technical-support/general-gas-knowledge-database/hydrogen-detection .
. World's fastest hydrogen sensor could pave the way for clean hydrogen energy. https://www.airmet.com.au/technical-support/general-gas-knowledge-database/hydrogen-detection .